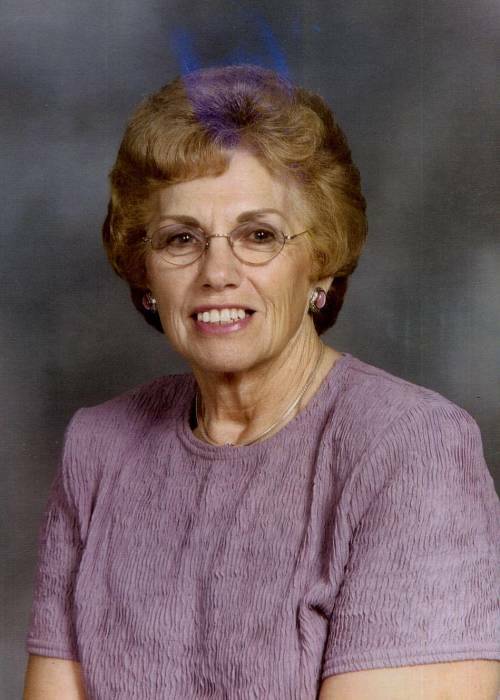 Mary Shelton Hemric, 78, of Greensboro entered into her eternal Heavenly home on October 13, 2018, while surrounded by her children. Funeral services will be held 2:00pm Tuesday at George Brothers Funeral Home with Pastor Deon Parker officiating. The burial will follow at Guilford Memorial Park. Mary was born March 1, 1940, in Moore County to the late Claude and Willa Shelton. She was preceded in death by her husband, Clois Eugene Hemric and her granddaughter, Mary Amber Locklear. Suriving are her children, Dewana Hemric Fulk of the home, Pamela H. Locklear (Terry Sr.), Donna H. Davis (Troy) and Martin Eugene Hemric (Tammy); grandchildren, Terry Locklear, Jr., Tamara Locklear, T.J. Davis, Brad Davis, Joey Davis, Amy Locklear, Heath Hemric, Seth Hemric and Justin Hemric and her nine great grandchildren. The family will receive friends at George Brothers Funeral Home prior to the service from 12-2:00pm. The family wishes to extend their heartfelt appreciation to the staff of Hospice for the loving care given to their mother. Memorial contributions can be directed to them at Hospice and Palliative Care of Greensboro, 2500 Summit Avenue, Greensboro, NC 27405.